The first step to planning a trip to the Smoky Mountains in winter is to decide who all you’d like to invite and then choose the perfect cabin to suit your group’s needs. Which Smoky Mountain cabin you rent will depend on how many people you invite, the ages of the people you invite and what type of vacation you’re wanting to have. For instance, if you’re wanting to invite nieces, nephews or other children, you’ll want to book a cabin with a game room and movie theater room. This will help keep the kids entertained through the weekend! If you’re planning a trip for you and your closest girlfriends, you will definitely want to book a cabin with a large hot tub! There’s no better way to enjoy a cocktail and catching up with friends than by soaking your stress away in a bubbling hot tub. 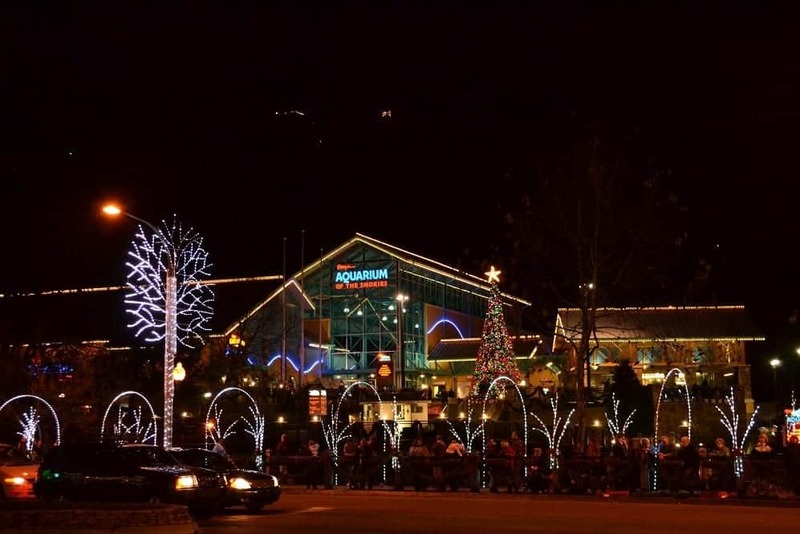 And if you’re planning a trip for your small family, a cabin close to the family-friendly attractions in Gatlinburg or Pigeon Forge will give you the peaceful retreat you’ve been craving while keeping you only a short distance away from the fun of the city! The next step to planning the perfect vacation is to decide which Smoky Mountain attractions you and your friends or family are most interested in experiencing. There are so many fun, educational and unique things to see and do in the Smokies, so you’ll want to have a few options narrowed down before you arrive! If you love to learn, Ripley’s Aquarium of the Smokies and the Titanic Museum are 2 of our favorite local attractions to learn some cool facts while having a blast. At the Ripley’s Aquarium, you’ll get the chance to see over 10,000 exotic sea creatures including stingrays, jellyfish, sea horses, penguins and so many other amazing animals. At the Titanic Museum, you’ll experience what life was like for the passengers of the Titanic in the year 1912. From the beautiful decor to the grand staircase, the luxurious design of the ship will make you’ll feel like you’ve gone back in time! For a stress free vacation to the Smoky Mountains in winter that is as affordable as it is fun, be sure to check out seasonal savings and specials before booking your stay. We offer discounted nightly rates, AARP and military specials, repeat customer discounts and sometimes even free nights! In order to help you experience more of the fun that the Smokies have to offer, we also have a variety of free attractions tickets to several area activities like horseback riding and ziplining! Now that you know all the best ways to prepare for your vacation to the Smoky Mountains in winter, it’s time to start planning for the trip of a lifetime! Browse through our beautiful selection of Smoky Mountain cabins, and book your stay today!